Welcome to Fisher’s Auto Service Inc. 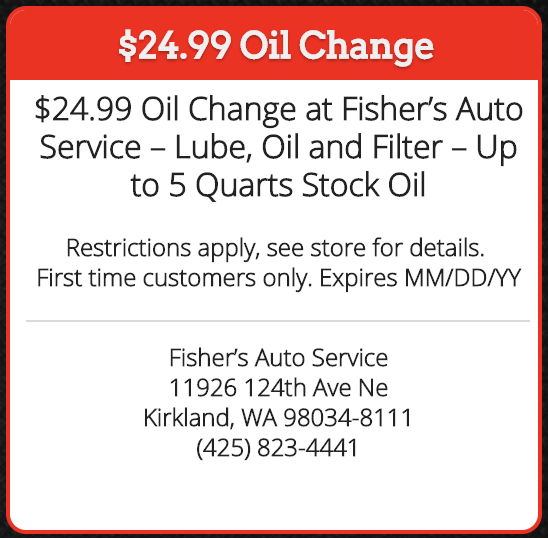 Since 1979, at Fisher’s Auto Service, we offer high-quality auto service and repair that follows the recommendations in your owner’s manual to ensure that you will not have to have major auto repairs in the future. Thank you for taking the time to visit our website. Please look around for more information about our services and the products that we offer. If you have questions or would like to set up an appointment, call us at (425) 823-4441. Trusted for over 35 Years, Fisher’s specializes in keeping your vehicle’s manufacturer recommended services, inspections, and part repairs at regular intervals to keep your vehicle running properly. We specialize in German, Volvo, Japanese, American and all SUV, truck and car models. When something is not right with your vehicle, it can be very stressful, especially if you are not familiar with the inner workings of a vehicle and do not know how to do your own vehicle maintenance and repairs. Your vehicle is an investment and routine maintenance is the best way to protect this investment for miles of trouble-free driving. 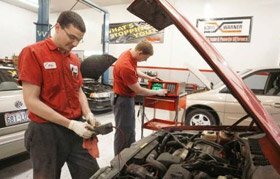 If you are looking for honest and reliable Kirkland Auto Repair, our team of mechanics are here to help! 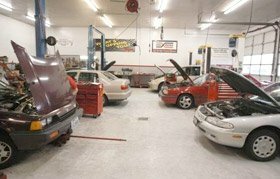 Here are links to some of our most popular auto services: Brake Repair, Oil Change, Transmission Repair. Give us a call for all of your auto servicing and preventative maintenance needs. 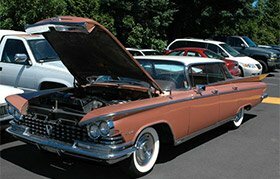 So if you are looking for a Auto Repair in Kirkland, WA, call us today to learn more about how we can help you. It’s easy to say “We’ll do a great job” it’s another thing to hear it from actual customers and what they have to say about Fisher’s Auto in their own words. I here with wish to commend your car repair service for his excellent customer service and especially thank Mr. Everett for his sensitivity to my dilemma last week when my older vehicle needed repair. As a retired teacher and widow who still must work, I am in need of reliable, safe transportation as I do infant care four days a week and a home health with Alzheimer victims two days a week. In a highly competitive market, it is important that I find people I can trust to stand behind their work. Mr. Everett dos just that and more. Please convey my added thanks and appreciation to him. As a result, I shall continue to have major auto repairs done at your shop and encourage my friends and relatives to follow suit . Just wanted to thank you all again for going the extra mile to get my car done on Tuesday. I know it was inconvenient, + I want you to know how much I appreciate it.